The Enhanced support Class has been established to support a wide range of learning needs for our children. 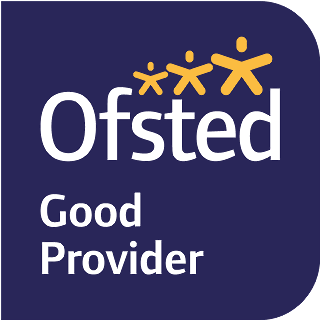 We encourage the children to become more independent and strive to do their very best. There is a high provision of adult support currently within our ESC class where there is a more practical approach to delivering the curriculum. Numbers in this class are lower than the average class so that greater emphasis can be given on focused Numeracy and Literacy target work to help children achieve and be successful in their own learning. The programme of work offered is in line with the National Curriculum expectations appropriate to the age group they are working within. On a carousel day pupils will have lessons in art, IT, modern foreign language and music. On PE days please send children to school in a PE kit. Children will be asked to tie long hair back and remove all jewellery for PE lessons. Year 4 ESC children will also have swimming as well as other sporting activities, in addition to their carousel. A separate letter has been sent out about swimming. Parents will be informed about details of any school trips throughout the year. Each Thursday there will be a piece of maths homework for children to complete at home and return to school by the following week. Spellings will be given out and tested weekly. Please support your child by practising their spellings regularly at home. Reading is a very important part of ESC homework and we would like children to read every night at home. Please ensure their book and diary is in school every day. Thank you for your continued support in this. If you need to inform us of anything then please let the registration teacher know first thing in the morning and the message will be passed on or let the TA/teacher know at the end of the school day when the children are dismissed. If you wish to talk to us about something that requires a longer conversation - please make an appointment to see us after school. If you have a problem that you need to speak to us about urgently in the morning or in the day time, then please contact a senior member of staff in the first instance.